Recently there's been breaking news about the proposed Sandpiper oil pipeline. 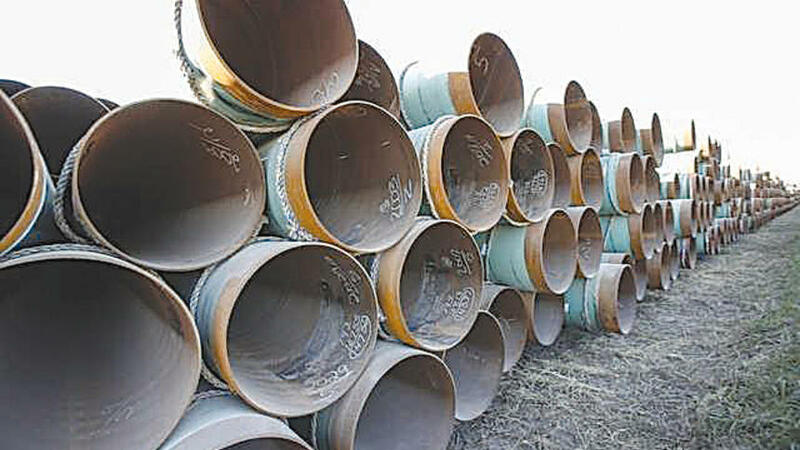 The headline in the August 6th Park Rapids Enterprise newspaper reads, "Sandpiper pipeline future unclear as Enbridge buys into Dakota Access." This pipeline is similar in size to the proposed Sandpiper, but avoids the dog-legged route of Sandpiper and will also link into an existing pipeline to the Gulf Coast. Its operation is expected to circumvent the need for Sandpiper. "If (the Sandpiper) project does not move forward, it is a victory for clean water in Minnesota" said Richard Smith, president of Friends of the Headwaters. This has, however, not altered the plans for the Line 3 replacement to carry Canadian Tar Sand crude oil through Minnesota close to Long Lake. The comment period for the Department of Justice case concerning Line 3 is open until August 24th. Go to https://www.justice.gov/enrd/consent-decree/us-v-enbridge-energy-partners-lp-et-al-0 and follow the instructions in the Northwoods Press article to make a comment.